4 x Gold coloured handles. 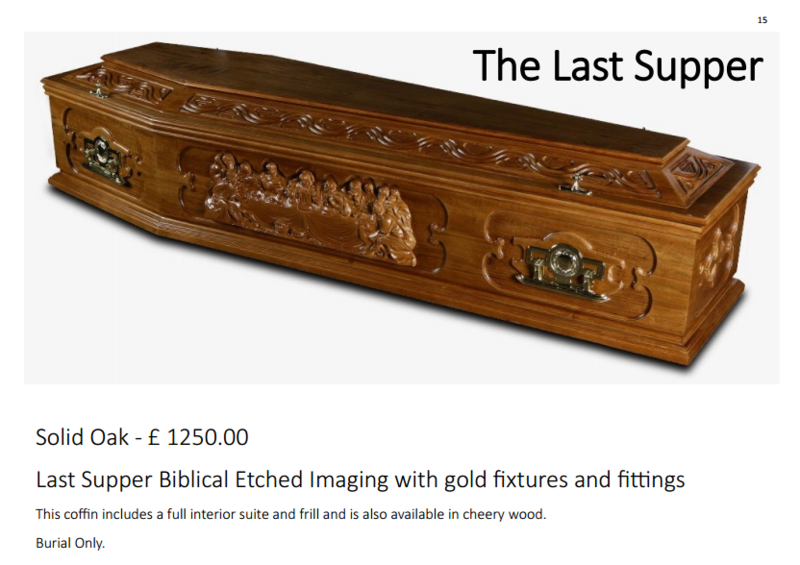 Foil wrapped Coffin, Oak mouldings, High gloss finish. 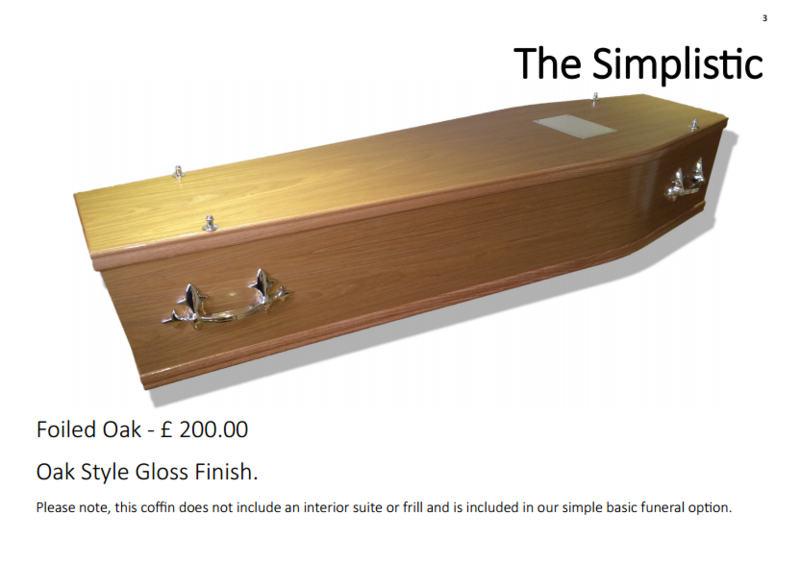 Veneered oak coffin, Solid oak mouldings, High gloss finish. 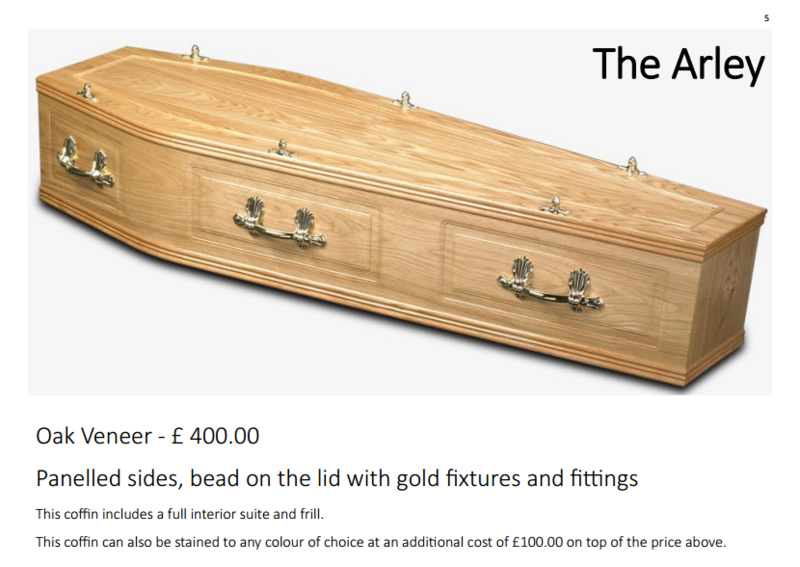 6 x Gold coloured handles. 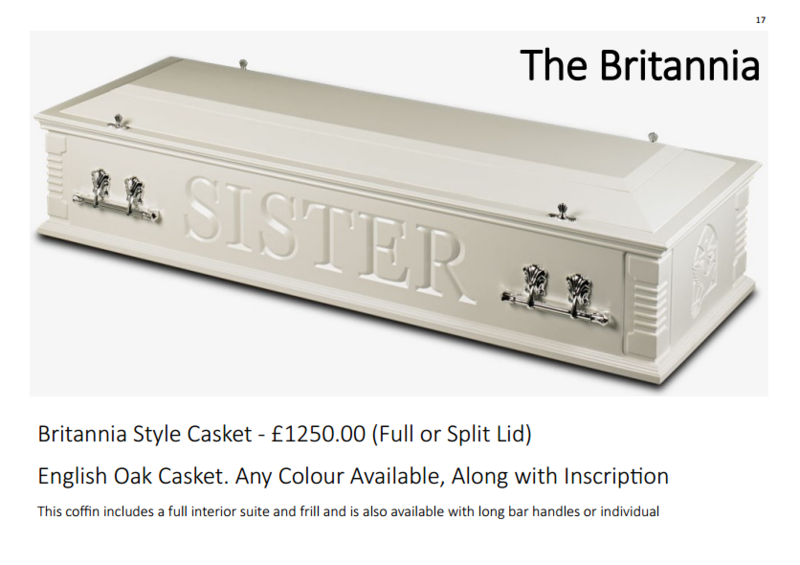 Veneered Oak coffin, Solid mouldings, High gloss finish. 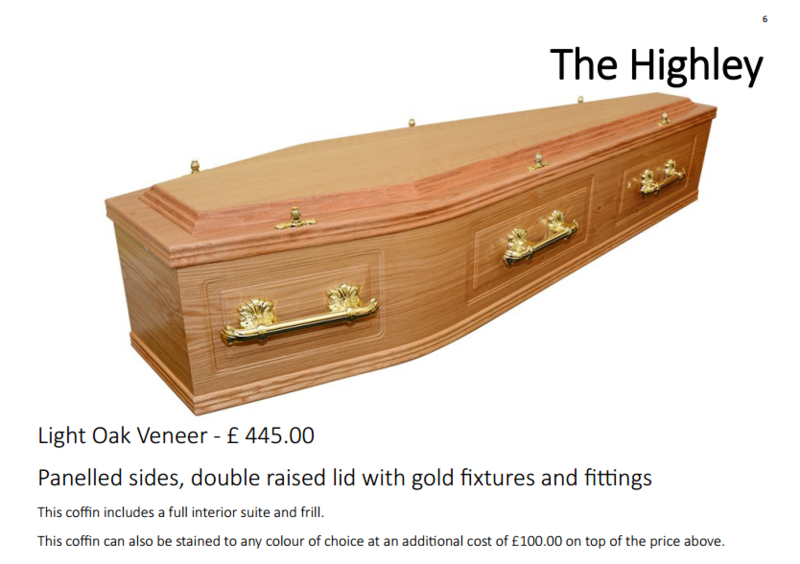 Bead on lid, Panelled sides 6 x Gold coloured handles. 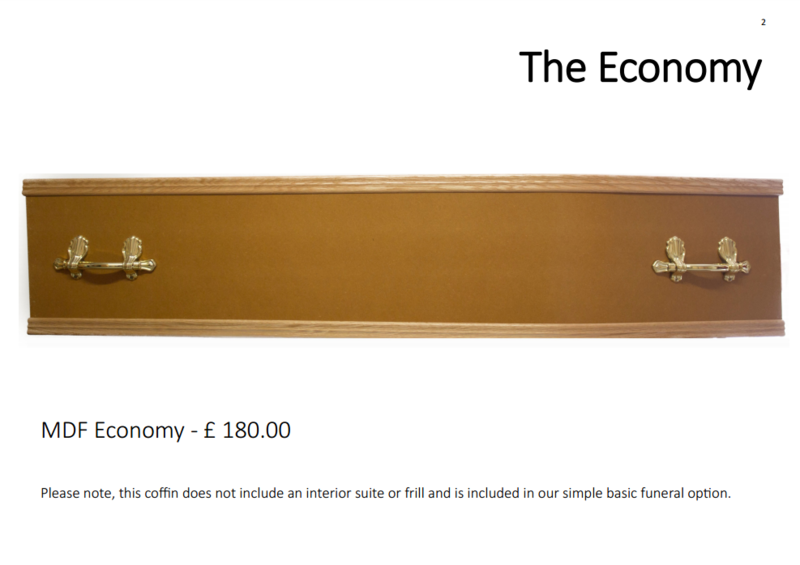 Veneered oak coffin, Solid oak mouldings, Panel sides, Double raised lid, High gloss finish. 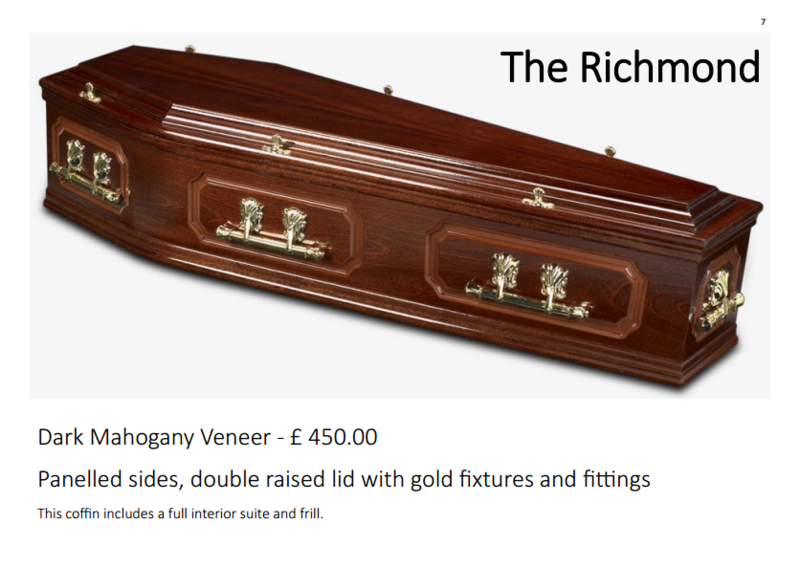 Gold fittings & fixtures. 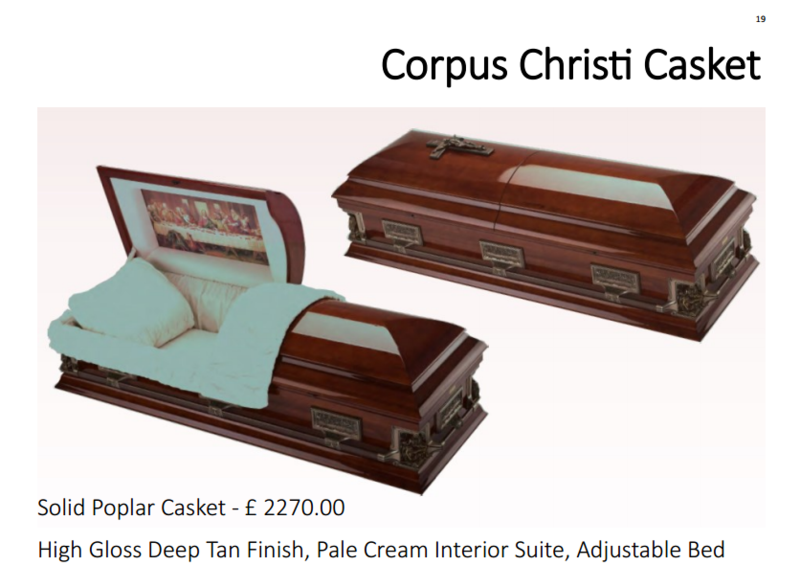 Veneered mahogany coffin, Solid mahogany mouldings, panel sides and ends, Double raised lid, High gloss finish. Gold fittings & fixtures. 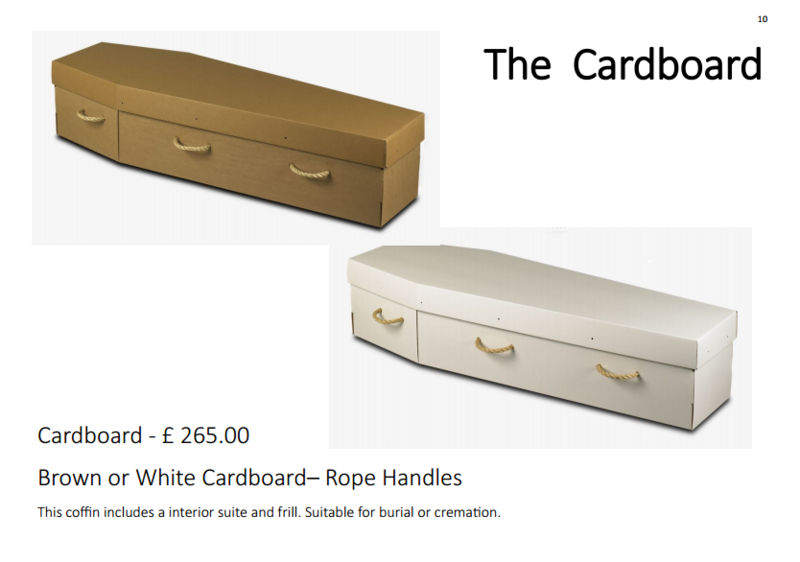 Brown or White Cardboard with Rope handles. 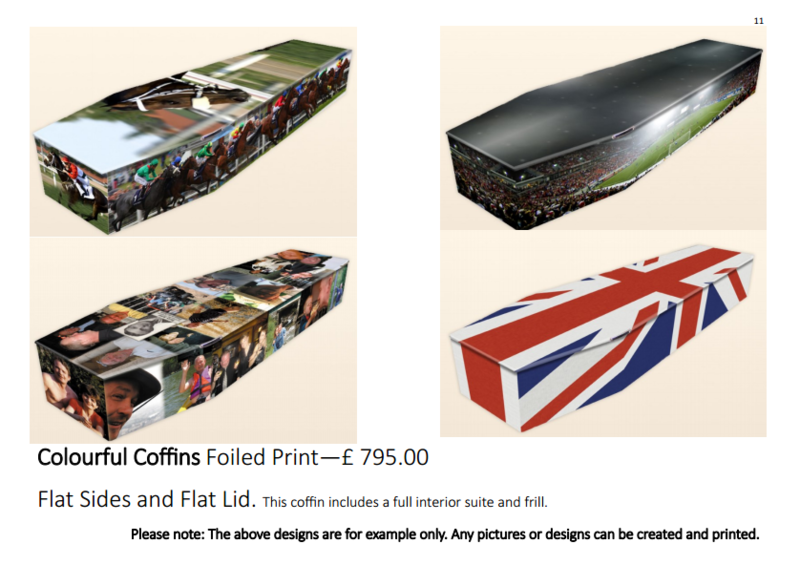 Foiled print from brochure or your own design. 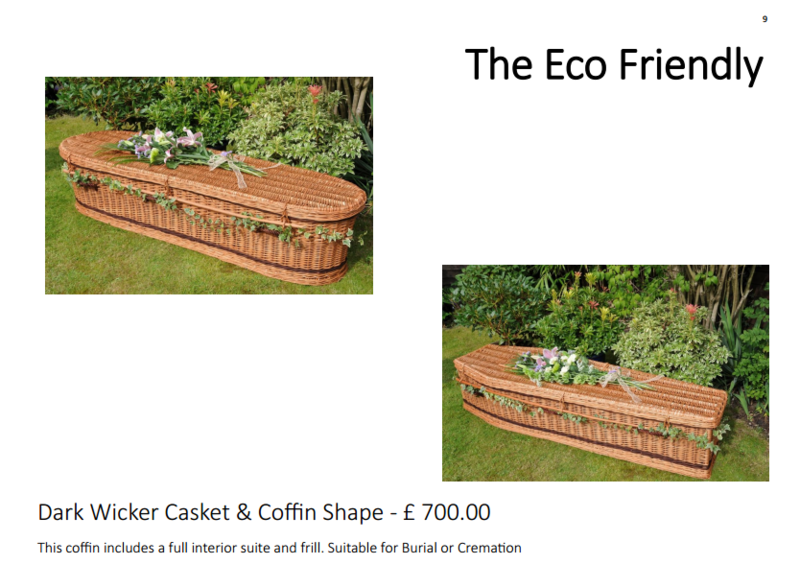 Solid light Oak Coffin, Large solid mahogany double mouldings, panel sides, Double raised lid, High gloss. 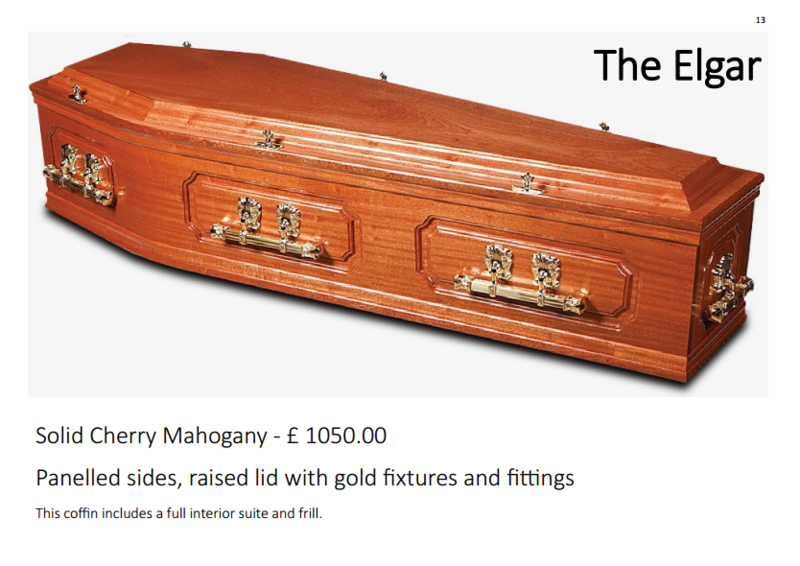 Solid cherry mahogany coffin, Large solid double mouldings, panel sides & ends, double raised lid. 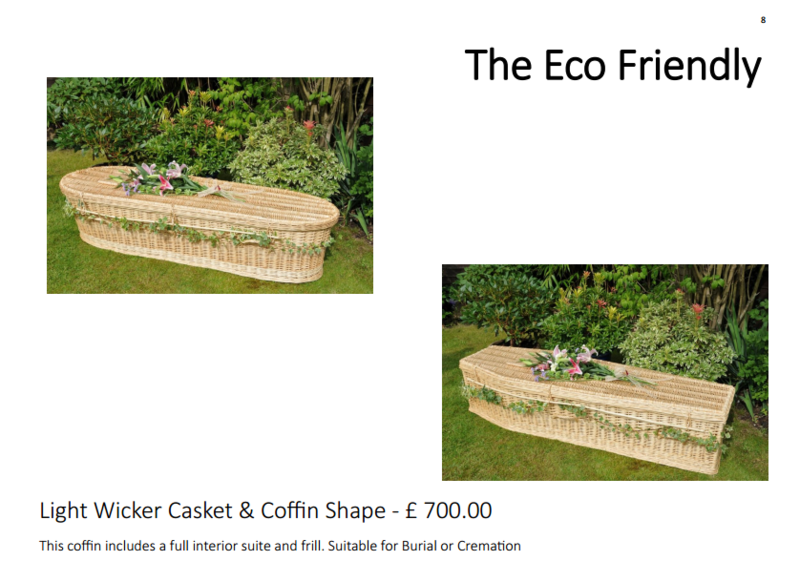 panel sides & ends, double raised lid. 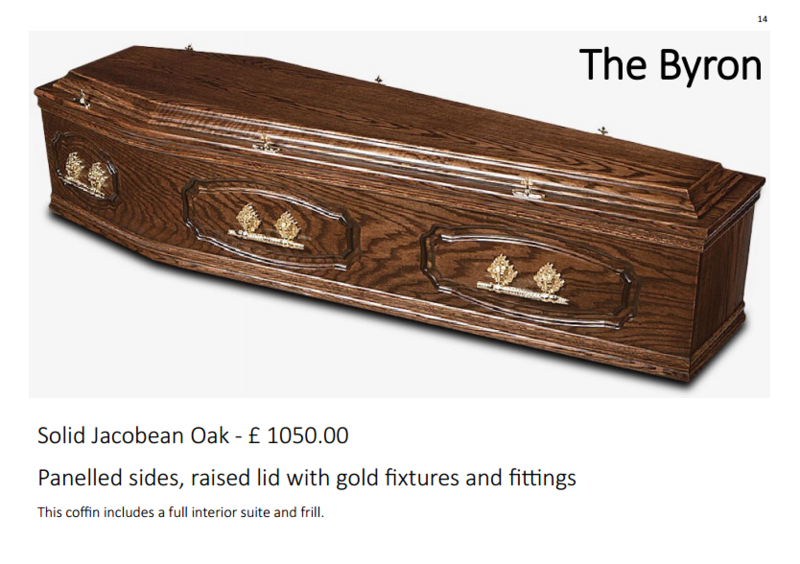 Solid Jacobean oak coffin, Large solid oak double mouldings, panel sides and ends, Large double raised lid. Full or Split Lid. 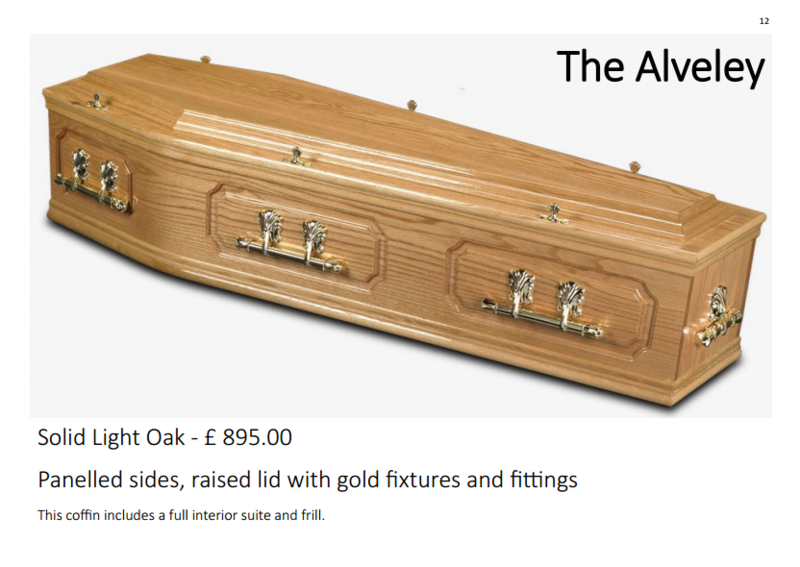 English Oak Casket. 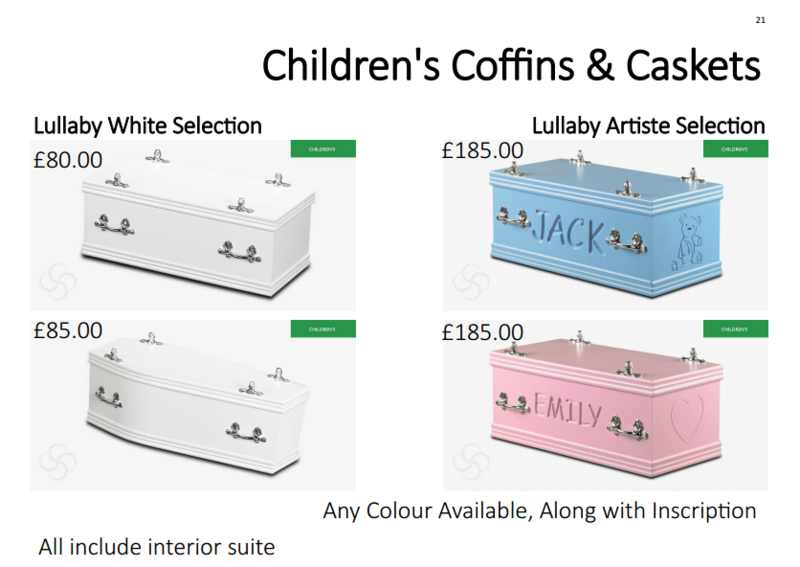 Any colour available with inscription. 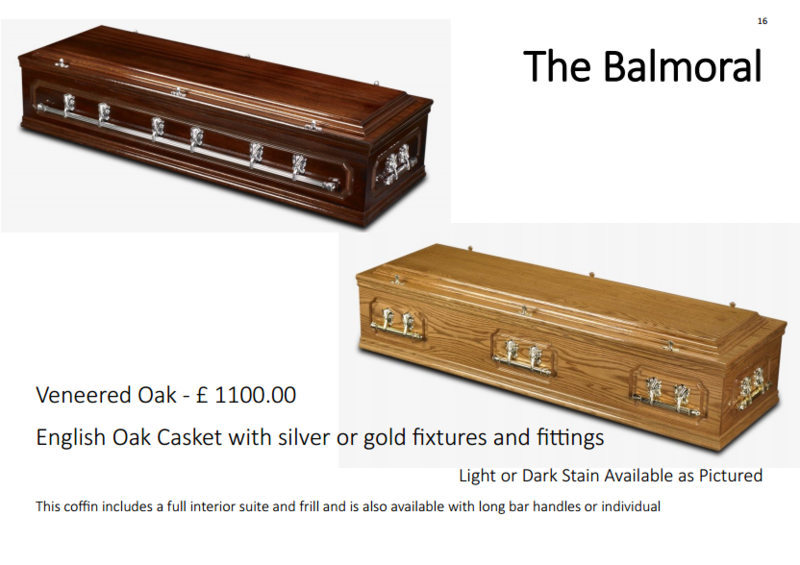 Veneered English Oak Casket with Gold or Silver individual or bar handles. 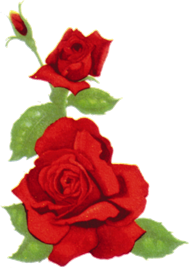 Light or Dark stain. 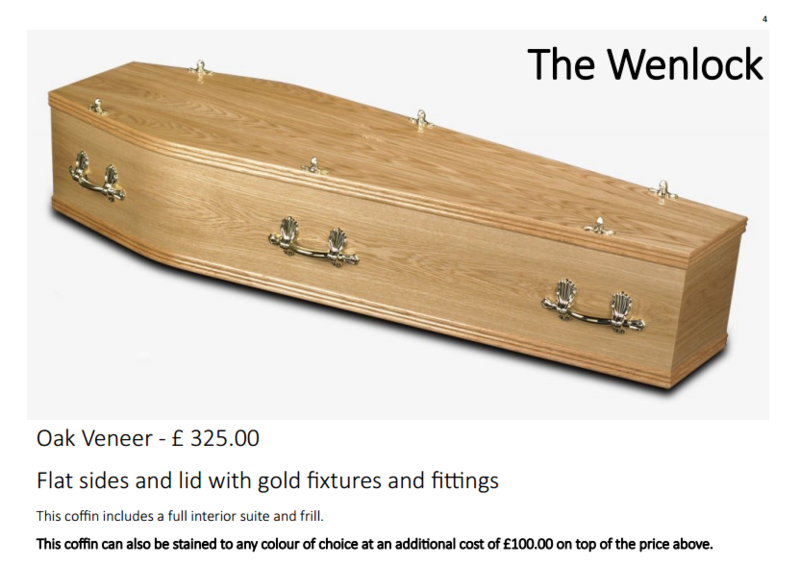 Veneered Oak silver or gold fittings. Engraved sides with double raised lid. 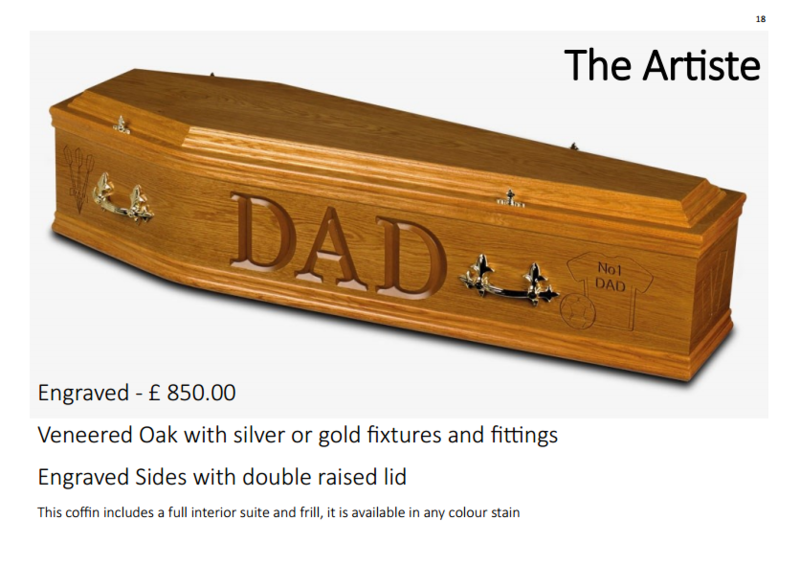 Solid Poplar Casket. 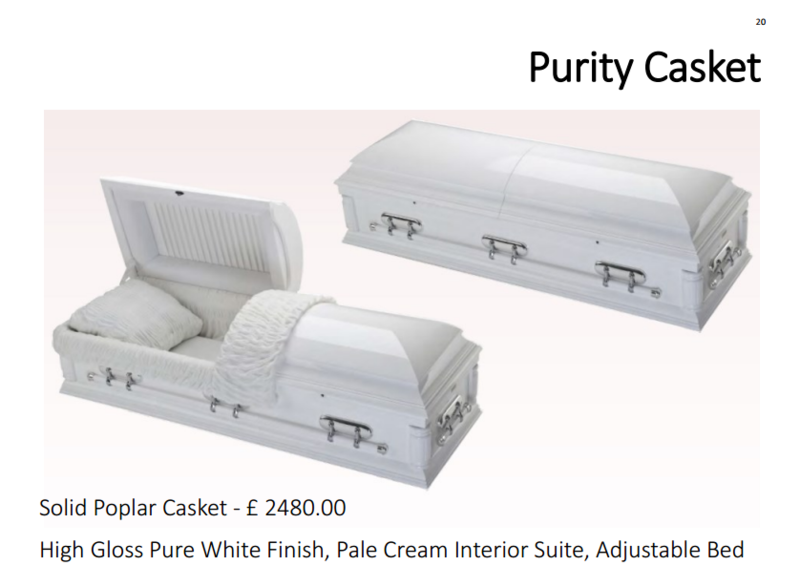 High Gloss pure white finish. 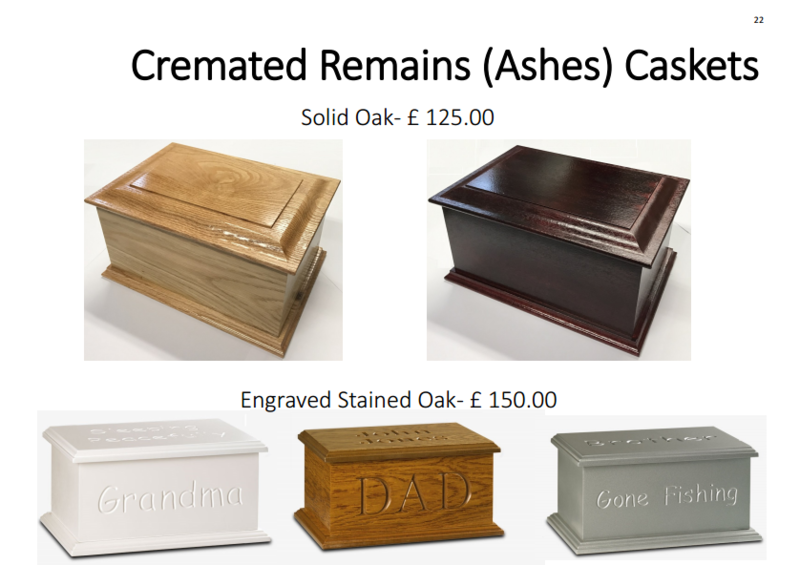 Solid Oak - Dark or Light stain.